Hey everyone!!! How is your Monday going?! Lots of you had to go back to work today, and I really feel for you... but I'm on VACATION!!!! lol Ok, so I'm on vaca in Michigan, does that REALLY count? Anyway, I present to you today's nails... I bough Funky Limelight a while ago, and really wanted to use it, soooo....I did. I love how completely different the Essie Foot Loose has looked over the last few days. 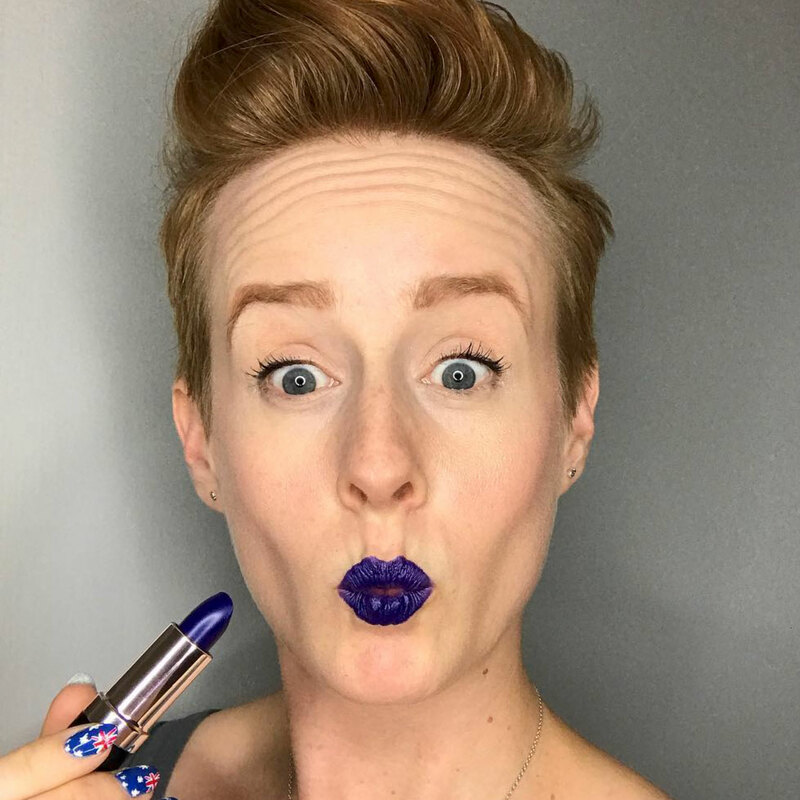 Really makes me want to get that color. Very cool of you to do. And today's nail is very "Op Art" fab... and happy vacation! Very cool. I hate neons, the only way to wear them is with a konad or tons of glitter. 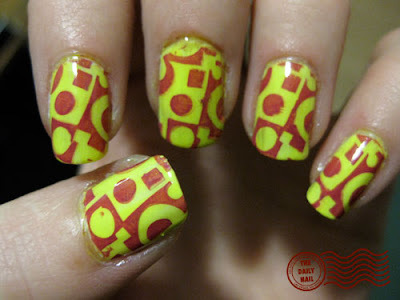 Very cool nails, that yellow is wonderfully designed.